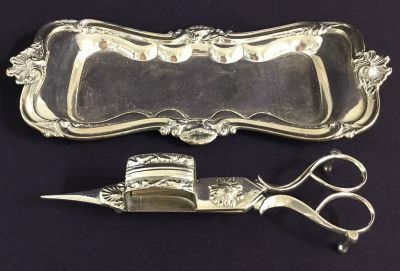 Sheffield Plate candle snuffer and tray. English, 19th century. The dimensions of the tray are 9 1/4” by 4”.